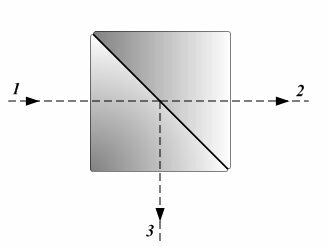 A beam splitter is a combination window and mirror. One side of the window is made partially reflective. When a beam shines on the beam splitter, a fraction of the beam is reflected from the mirrored portion, and the remainder shines through the window.